﻿ Parc Corniche Suites Hotel, Orlando (FL) | FROM $88 - SAVE ON AGODA! "This is the perfect mix of a hotel and an airbnb." Have a question for Parc Corniche Suites Hotel? "We get the facilities and amenities of a hotel and a quiet, peaceful, personal living space with a kitchen just like an airbnb home." "For us, this was a perfect place combining both." In its rare blend of luxury and location is where the Parc Corniche Suites Hotel, located in central Orlando, shines above the rest of its competition. This property features artfully designed condominiums which are furnished with the latest in modern living amenities. 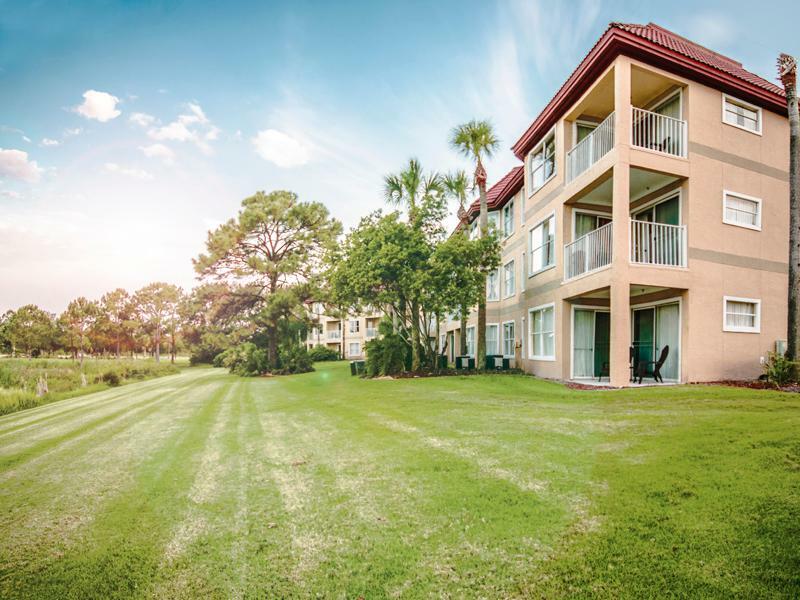 The breadth of facilities include a pool, jacuzzi, bar, restaurant, fitness center, convenience store, several meeting facilities, and the prestigious Grande Pines Golf Club. 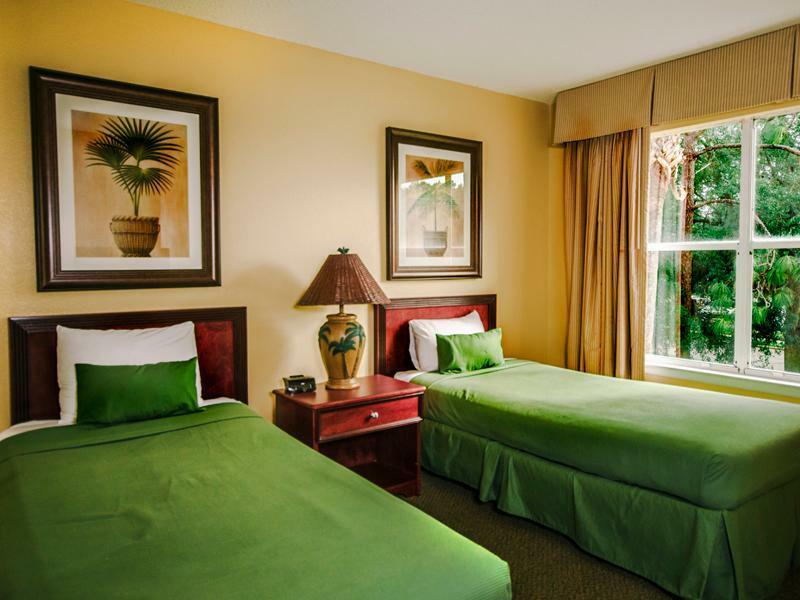 The Parc Corniche Suites Hotel's location is just as appealing as its service and facilities, as it borders some of Orlando's most attractive tourist destinations, including Discovery Cove, Sea World, and Disney World. For a stay whose pistons run on the machinery of a first-rate resort experience, fuel up at the Parc Corniche Suites Hotel. Housekeeping service is available at an extra charge. I was looking for a value to stay a couple nights to visit Disney ... what I got was a steal! When they advertised a condo, that's exactly what they meant! 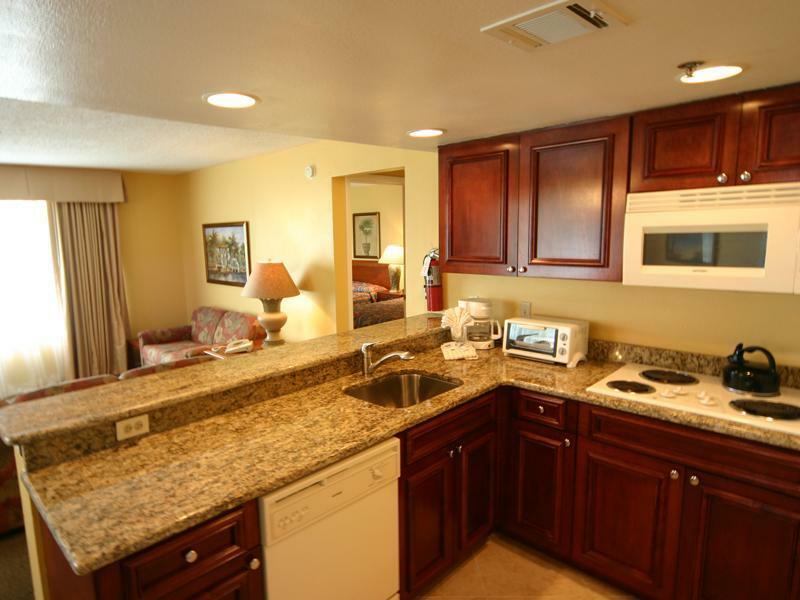 Granite countertops in the kitchen, one bedroom, a balcony! Wow! And such a great price! I'll be back!! Great amount of space for a family. Needs some updating of furniture and bedding. The decor is a bit dated but the property is clean, the staff is terrific, and the location is ideal. There's a stovetop, toaster oven and microwave, which we didn't even realize was included in the room price., plus a big fridge. The only complaint would be the coffee at the continental breakfast. It was worse than any coffee I've ever had on any cruise ship, and they are infamous for serving swill ! To add to the bad coffee, they only had powdered creamer. 1/2 and 1/2 might have made it drinkable and International Delite creamer might have made it actually pleasant. Also, best Happy Hour EVER !! With great bartenders and great service. Their pizza is OUTSTANDING. This is a basic apartment complex with a small pool and jacuzzi- Nice staff central location. We got a great deal making it value for money. 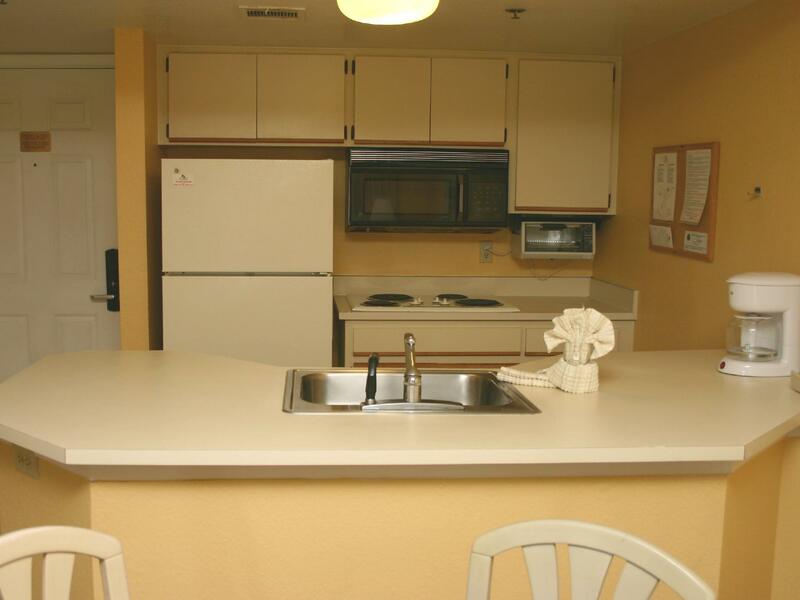 Suites are dates but very serviceable nice helpful staff and clean rooms. Towels changed daily with basics like loo roll and dish washer powder. Watch out there is a pay at resort fee but still good value. Pay extra and someone will make you bed and clean daily! Rooms not cleaned for 4 day stay, stale breakfast options, too deserted, given wrong room, keys doesn't work properly, internet did not woke for no 4 days in was there and nothing from management regarding this. Don't go here, there are far better options. Great Value, Good Location. Overall a good stay. The breakfast has been criticised in some reviews I've read and yes there is no cooked breakfast but it is substantial and what I'd have at home ie: cereal, porridge, toast, waffles, bagels, yogurt, fruit and tea/coffee and juices. What more do you need really. The only complaint would be that the kitchen is lacking a few cooking utensils but we did managed to cooked 2 meals while we were here. This is the perfect mix of a hotel and an airbnb. We get the facilities and amenities of a hotel and a quiet, peaceful, personal living space with a kitchen just like an airbnb home. For us, this was a perfect place combining both. It is a little away from the disney park areas, but once you are in your car, a few miles extra does not matter. I would definitely like to recommend this place to all types of families to live and stay together in this nice property. Nicely located, we’ll signed off International Drive. 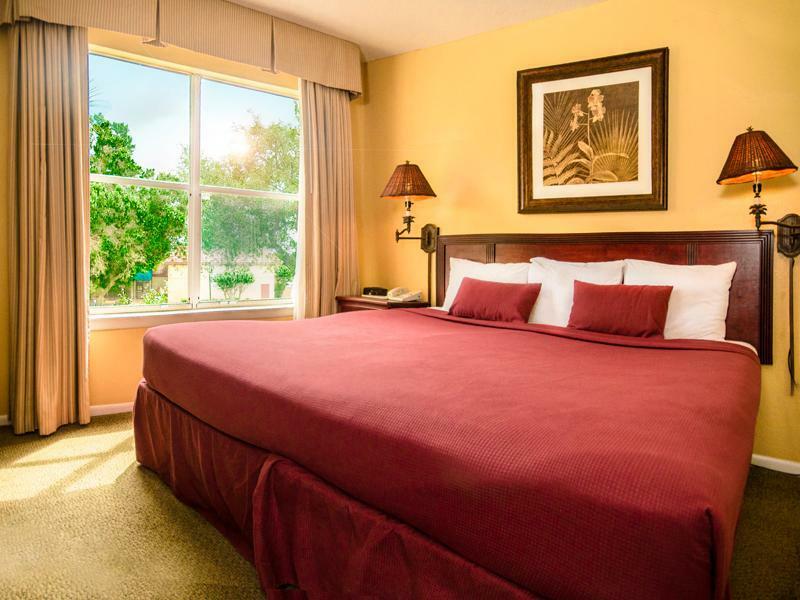 Great suites, nice gardens and SeaWorld, literally next door! Great value for money. Will highly recommend! This place is really old and the facilities need to be renewed. Also not clean. There is only one small pool for 6 buildings. Rooms are not clean and many chairs need repair. Breakfast is not good/low quality and is the same every day. Personnel can be more friendly. We were very disappointed with this Hotel. All the things were satisfactory except the cleanliness for which I am deducting some points. There were roaches in the rooms, DishWasher and oven was also not so clean. Great spacious little apartment in a good location, value for money. Pros it is only serviced house cleaning so they only bring you towels and empty rubbish daily. Comfortable, has a free breakfast n affordable. Kinda gross bed in couch had used blankets and there was a leak somewhere part of the floor was wet.